Oakland – Attorney Adante Pointer of the Law Offices of John L. Burris filed and served a First Amended Complaint in Santa Clara County Superior Court (Case No. 115cv280456) specifically naming Jay Way Jenkins, aka Young Jeezy, Live Nation and other persons affiliated with the Under the Influence Tour as defendants in a wrongful death lawsuit for the murder of well-known San Francisco Bay Area based concert and party promoter and loving father, Eric Johnson II. On Aug. 22, 2014, Eric Johnson was gunned down in a hail of bullets, backstage at the 2014 Under the Influence of Music Tour concert at the Shoreline Amphitheater as rapper Wiz Khalifa was finishing his headlining set. Media reports stated Mr. Johnson and Young Jeezy’s entourage got into a dispute after Young Jeezy refused to show up at a concert after-party Mr. Johnson had paid Young Jeezy to appear at. At their depositions, both witnesses named Young Jeezy as being the shooter and claimed they told police the same thing the night of the murder. 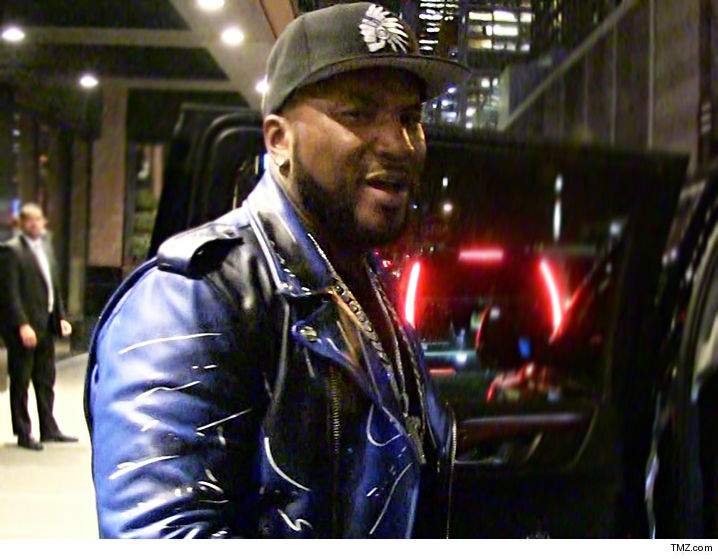 Young Jeezy’s tour bus was searched and multiple automatic machine guns were found. Young Jeezy and members of his staff were arrested on gun possession charges, but all the charges were ultimately dropped. Police never identified anyone as being a murder suspect, failed to respond to the family’s inquiries about the killing, and the unsolved killing quickly became a cold case file. Eric Johnson’s children filed a wrongful death lawsuit to get the answers they deserve. Now, only after spending two years litigating the lawsuit and countless hours investigating the murder did the children’s attorney, Adante Pointer, finally get to the truth. No one ever told the family or the community there were two independent eye witnesses working the concert who saw the brazen shooting. In fact, the two witnesses’ names were buried in thousands of pages of documents and had to be tracked down and subpoenaed to give their sworn deposition. At their depositions, both witnesses named Young Jeezy as being the shooter and claimed they told police the same thing the night of the murder. Young Jeezy crossed the line when he tried to live out his rap life fantasies causing Mr. Johnson’s death, thereby sentencing his three children to live their lives without their father. The Law Offices of John L. Burris encourages any other witnesses or persons with information about this incident to contact them. Adante Pointer can be reached at 510-839-5200 or adante.pointer@johnburrislaw.com. Lee Houskeeper can be reached at Newsservice@aol.com. This is a cool article! I hope justice is served because i miss the brother, he was a good family man, loving and helpful to other’s a good soul and his life was taken over nonsense and his family deserves closure.